The government and Alcohol Concern have kicked off a joint 'Dry January' campaign, declaring today 'Booze Black Friday' to warn drinkers of the dangers of over-indulging. This year sees Public Health England (PHE) supporting Alcohol Concern’s 'Dry January' campaign, as opposed to the full partnership of last year. PHE activity will include PR and social marketing directing consumers to Alcohol Concern’s campaign. The'Dry January' campaign - which targets adult drinkers who consume above the guidelines and will focus on higher-risk drinkers between 40 and 60 and from lower socio-economic groups - will run until 31 January. Alcohol Concern's marketing includes a humorous 70-second animated film on YouTube video that tells viewers about some of the weird and wonderful dieting and drinking habits and rituals from across the globe and the annals of history. 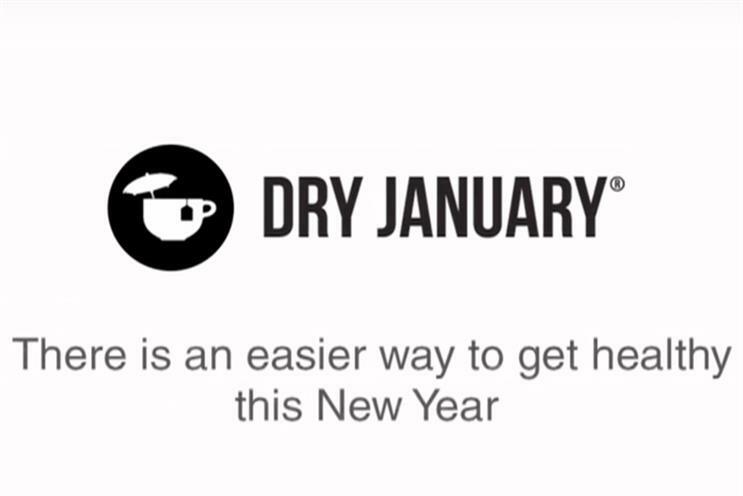 The charity's Dry January website gives consumers advice and encouragement on how to abstain from drinking for 31 days. Last year saw the government for the first time attempt to harness the ‘Dry January’ phenomenon to encourage respite among consumers. According to PHE, Booze Black Friday is the biggest drinking day of the year, with more alcohol to be sold tonight than any other night, and with emergency services on high alert. Last year on the Friday before Christmas, alcohol sales rose 142% in UK pubs, clubs, restaurants and hotels, discounting off-trade sales. PHE found that 53% of adults drink alcohol over Christmas even when they do not necessarily want to; of those who drink more than they usually do, 27% felt guilty for drinking more; and nearly a third (30%) agreed that they felt run down as a result of drinking. Dr Yvonne Doyle, London Regional Director of Public Health England said: "The festive period often sees people drinking much more than usual, which as well as being damaging to our health also sees the NHS and police dealing with more drinking-related accidents and emergencies. "It’s not surprising that many of us feel ready to take a break from alcohol. A period of abstinence could help encourage less harmful, better drinking habits in the long term - even six months later, evidence from Dry January shows that more than two-thirds of participants are still drinking less."